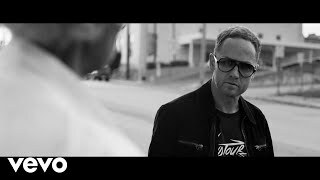 KSBJ & NGEN Radio present: TobyMac - Hits Deep Tour - 89.3 KSBJ God listens. KSBJ & NGEN Radio present the TobyMac Hits Deep Tour! TobyMac is back with another star-studded lineup for TWO NIGHTS on 1/31 and 2/1 at the Berry Center. Joining Toby will be Jeremy Camp, We Are Messengers, Jordan Feliz, and Ryan Stevenson. You can make every moment count too at the Hits Deep Tour with the people who matter to you most! Join KSBJ and NGEN Radio for a concert you don’t want to miss on TWO NIGHTS at the Berry Center on 1/31 and 2/1! In conjunction with the policies and procedures of Cypress-Fairbanks ISD, Berry Center will implement a clear bag policy for large events such as concerts. Click here for more information regarding this policy. Concessions will be available for purchase at The Berry Center for the Toby Mac – Hits Deep Tour. Available menu items include: Cheeseburgers, Hot Dogs, Jalapeno Sausage, Nachos, Pretzel Bites, Popcorn, Candy, Chips, Pizza, Chick-fil-A Chicken Sandwiches, Grilled Chicken Cool Wraps, Chips, Chocolate Chunk Cookies, Fountain Drinks, and Bottled Water.